Surgery has traditionally been the standard of care for the treatment of neoplastic lesions in the gastrointestinal tract. With advances in endoscopic resection techniques, there has been a paradigm shift in how to approach many of these precancerous and early cancerous lesions. Potential advantages of endoscopic resection include its minimally invasiveness which often translates into quicker patient recovery. In recent years, there have been major strides in safety and efficacy of minimally invasive endoscopic approaches with ongoing advances in therapeutic endoscopy. Advanced Techniques for Endoscopic Resection in the GI Tract by Drs. Peter V. Draganov, Takuji Gotoda, and Dennis J. Yang provides an in-depth analysis of the current state of advanced endoscopic techniques for the evaluation and resection in the gastrointestinal tract. 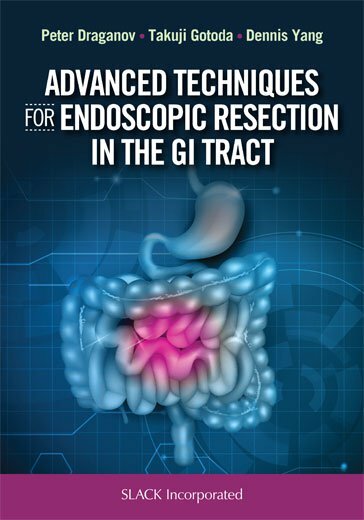 Advanced Techniques for Endoscopic Resection in the GI Tract provides a comprehensive review of all the different aspects of advanced endoscopic resection in the gastrointestinal tract which makes it ideal for interventional GI endoscopists and general gastroenterologists, as well as surgeons.